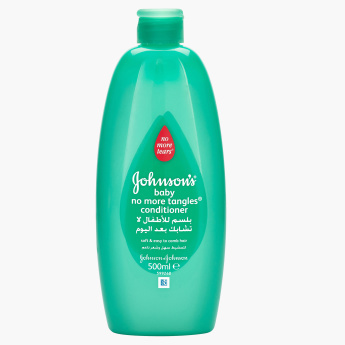 Johnson's Baby No More Tangles Conditioner - 500 ml | Multicolour | Gentle and mild to the eyes as pure water. A healthy buy for your darling's bath time, this conditioner makes it easy to deal with tangled hair. It is formulated from organic ingredients ensuring your baby's hair is left fresh and silky-looking.